Retail Design Expo (RDE), the UK’s leading event for innovation in retail design, marketing and VM from Reed Exhibitions, will combine with Retail Digital Signage Expo (RDSE) and Retail Business Technology Expo (RBTE), Europe’s largest retail solutions show, as one unified show for 2019, to mirror the transformation being seen in the retail industry and better meet the needs of its show audiences. 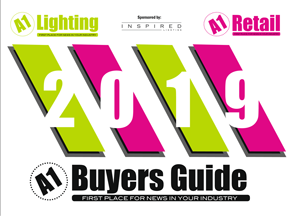 Reed’s three retail shows will transform into a single event, RetailEXPO, to bring together over 15,000 retailers, brands, retail design businesses and tech exhibitors to the 2019 show, taking place on 1 – 2 of May at London’s Olympia. The move to unify three of Europe’s leading retail trade shows from Reed Exhibitions was based on extensive independent research, talking to over 150 senior retailers and brands that represent the shows’ audiences – from CEOs to sole traders, from multinationals to small independent shops as well as pureplay and omnichannel businesses*. The findings revealed greater need for collaboration amongst retail teams, with design now working more closely together with tech, property and marketing to deliver enhanced customer experiences, as well as the emergence of customer-specific teams and roles. The research also recognises that disruption by pure-plays is prompting retailers to re-evaluate the role of their bricks-and-mortar stores, placing store design at the heart of new strategies to increase footfall and deliver immersive brand experiences. This dynamic is forging the need for stronger collaboration between retail design and technology and IT teams to deliver the impactful experiential retail encounters customers now expect in an engaging way. Borne out of the research findings, the new RetailEXPO show reflects this changing dynamic for retailers, who recognise the need to put the customer firmly at the centre of their businesses. By reacting to the changes in the industry and bringing the three shows together, the RetailEXPO show will evolve into the trade event that truly reflects the needs of the UK retail industry. This will not only enhance the existing audiences’ experiences, but also significantly broaden the show’s visitor base, to deliver a single source of ideas, solutions and enthusiasm, that will help energise retailers now and in the future. “The role of the store in modern omnichannel retail is being reimagined – it’s no longer enough for shops to provide a transactional space where products are simply displayed and paid for. 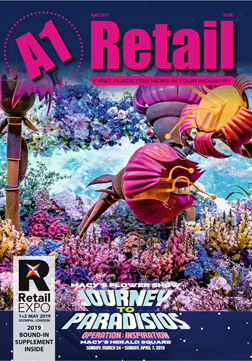 The survival of the High Street relies on bricks-and-mortar delivering engaging, experience-led environments where shoppers can explore, be inspired and immerse themselves in a brand’s identity – and collaboration between in-store design and digital tech teams will be key to realising this,” he concluded. * Reed’s research conducted by Foundation on behalf of Reed from February – July 2018, included interviewing senior retailers – from CEOs and CIOs to CMOs and Retail Design roles – from the UK’s most influential businesses.